New Franchise Restaurants sales and openings are hitting more markets across the U.S. Announcements for new stores and store openings in August and September range from Chicken Tenders to Chicken Salad Chicks with Curry Up, Breweries and Bars also in the mix. Here’s what We Sell Restaurants sees nationwide in new franchise restaurant sales either announced or opening nationwide. Hailed as the Southeast’s fast-growing, greatest tasting chicken tenders brand, “Huey Magoo’s” is announcing several new stores in the Atlanta area starting next year. Papa John’s Dean Thompson, Derry Thompson and Alex Larson are joining the Magoo’s team to bring the popular Central Florida based brand to the market with an initial 10 stores and possible additional 36 stores, totaling 46 new Huey Magoo’s franchises coming to the Greater Atlanta area. The first restaurant is slated to open in April/May 2019, followed by the second store around December 2019. Also announced recently, The Great Greek Mediterranean Grill is opening on September 21st Located at 11300 Legacy Ave, Palm Beach Gardens, FL 33410 with a Grand Opening Celebration of fresh flavor from salad to souvlaki skewers. Chicken Salad Chick is opening its newest franchise restaurant at 5050 Bayou Boulevard, Pensacola, Florida. The brand serves the nation’s only southern inspired, fast casual chicken salad restaurant concept. This is the brand’s third location along the Florida Gulf Coast and 17th location in the state. Owned by veteran franchisees Tommy and Stephanie Lauderdale, the new restaurant will include a variety of dining options including a drive-thru, takeout and catering. The brand also announced the launch of its first restaurant in Oklahoma. Located in the Tulsa area at 1320 East Hillside Drive in Broken Arrow. The new restaurant will open on September 20th and marks the brand’s 95th restaurant location across 10 states. The Broken Arrow restaurant kicks off a string of new market development for Chicken Salad Chick with restaurants set to debut in Arkansas, Kentucky and Missouri before the end of the year. Curry Up Now, the largest and fastest growing Indian fast casual concept in the United States, has finalized a multi-unit franchise deal to bring its innovative, approachable Indian eats to markets throughout the state of New Jersey. Franchisees Pritesh Benjamin and Tejavsi Patel plan to open Curry Up Now locations in the Central and Northern parts of the state, with sights set on opening their first location in the next six months. The New Jersey outposts will be the first for the brand in the Northeast region and join additional franchised units in development around the country. The New Jersey locations join over 50 franchised and corporate stores in development, along with multiple market deals in the works in 13 additional states. Curry Up Now currently operates three food trucks and six corporate brick-and-mortar locations across the Bay Area, as well as two Mortar & Pestle cocktail bars in San Jose and San Mateo. A new emerging brand, Sauce on the Side, opened on August 20th, in Chesterfield, Missouri. Sauce on the Side first opened in 2012 when business owners Mangialardo, Maciariello, and Porzel collaborated to fulfill a goal – feed the community. Last month, Sauce on the Side celebrated the anniversary of six years with three corporate locations but opening the first franchise made it their biggest milestone yet. 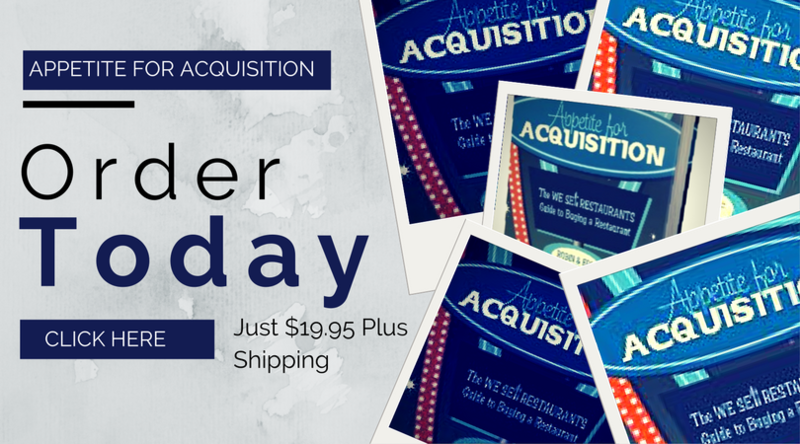 Robinson and Kaden plan to open four more franchise locations throughout Missouri. 13 more locations are on schedule to open throughout the Midwest in the next few years. Moving on to alcohol and beer, always a good combination, Old Chicago Pizza & Taproom opened its newest location at 545 Wakarusa Dr., Lawrence, KS 66049 on August 29th. This is the 11th Old Chicago in Kansas, and the 108th location nationwide. Del Taco Restaurants, the nation’s second leading Mexican quick service restaurant* (MQSR), announced that several established multi-unit franchisees within its system are continuing to grow with the brand in 2018 and beyond, utilizing Del Taco as a growth and diversification vehicle for their company’s portfolios. Brent Veach, longtime Del Taco franchisee, will be opening two new restaurants by year’s end, one in the Denver area and one in the Phoenix area. Twin Peaks – the ultimate mountain sports lodge – opened the first Ohio location in August at 5060 Monroe St., across the street from Franklin Park Mall. The 8,000-square-foot space offers full-service dining and regular hours for both lunch and dinner. The new restaurant will also offer unbeatable Happy Hour specials Monday through Thursday, from 3-6 p.m., including great deals on House Brews, wines, cocktails and delicious made-from-scratch shareable appetizers. Twin Peaks is so much more than the typical sports bar. The lodge welcomes every guest with primetime matchups and barrel-aged whiskey. The entire menu is prepared in-house, to order and in generous portions to satisfy every appetite. The hearty made-from-scratch comfort food pairs perfectly with a frosty draft beer or a classic whiskey cocktail. In Michigan, visitors to “Little Bavaria” can now get their fix of traditional treats on the go as the Bavarian Inn Restaurant introduces its new mobile eatery, the “Cluck Truck,” just in time for the busy tourist season. The “Cluck Truck” menu features snacks, sandwiches, entrees, and sweets reflecting some of the Bavarian Inn’s customer favorites. The truck launched on August 30th. Cowboy Chicken, the Dallas-based rotisserie chain known for its wood-fired chicken and handmade side dishes, opened its first Georgia restaurant in McDonough (90 South Point Blvd.) on Monday, Sept. 3. Founded in Dallas in 1981, Cowboy Chicken is a fast-casual restaurant chain specializing in real wood-fired rotisserie chicken. The brand has been included in Fast Casual’s Top 100 Movers & Shakers list every year since 2012. In 2017, Cowboy Chicken was named one of the Future 50 Emerging Chains of the Year by Restaurant Business and one of the Top 25 Most Loved Brands by Foodable. Garbanzo Mediterranean Fresh – the leading Mediterranean cuisine brand renowned for its wholesome, healthy and simple dishes, top-quality meats and fresh-baked pita – opened in August in the Haupert Union Building on Moravian College’s campus. Garbanzo is headquartered in Colorado with 27 locations nationwide. While a non-traditional unit, the newest Garbanzo features many elements of the recently refreshed brand trade dress. True to form, the new-look Garbanzo exudes a simple, refined and fresh aesthetic for the brand. The unit features a bakery area where guests will be able to see their pitas being lovingly kneaded, placed in the oven and puffed to perfection right before their eyes. Its welcoming décor and inviting “cocreation” service model will instantly make guests feel comfortable while they discover just how delicious nutritious can be. Garbanzo is making fresh Mediterranean cuisine a mainstream favorite across the United States. Its authentic, nutrient-rich dishes derived from Old World recipes are served with a new twist, but without compromise. Every order is customized to the guest’s liking, from juicy, high-quality meats and salads made from scratch to gyros, wraps and pita baked from scratch all day. Dickey’s Barbecue Pit new franchisee Josh Wise plans to open his first Dickey’s location in Newark, Ohio in September. Dickey’s Barbecue Restaurants, Inc., the nation’s largest barbecue chain was founded in 1941 by Travis Dickey. The fast-casual concept has expanded to more than 550 locations in 45 states. With an extensive background in the restaurant and hospitality industry and a passion for pit-smoked barbecue, Josh knew that Dickey’s Barbecue Pit would be the perfect fit. The new location will have a variety of grand opening promotions in September to complement Dickey’s slow-smoked barbecue. 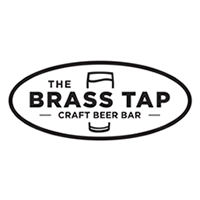 The Brass Tap is expanding in the Golden State, signing a five-unit deal in Modesto. With the area’s strong appreciation for great craft beer, the brand is looking forward to introducing its innovative concept to a new group of loyal customers. Squuisito Pizza & Pasta also opened for business in the Queenstown Premium Outlets in Queenstown, Maryland as well. This location is the first Squisito owned by franchisee, Martin Hernandez. Hernandez has been working with Squisito for the better part of 2 decades and it was his dream to bring Squisito back to the Eastern shore. That is a crazy month or so of openings of franchise restaurants nationwide. Was your old favorite or new up and coming concept in the mix? Let us know at We Sell Restaurants so we can track all the franchise restaurants opening nationwide.